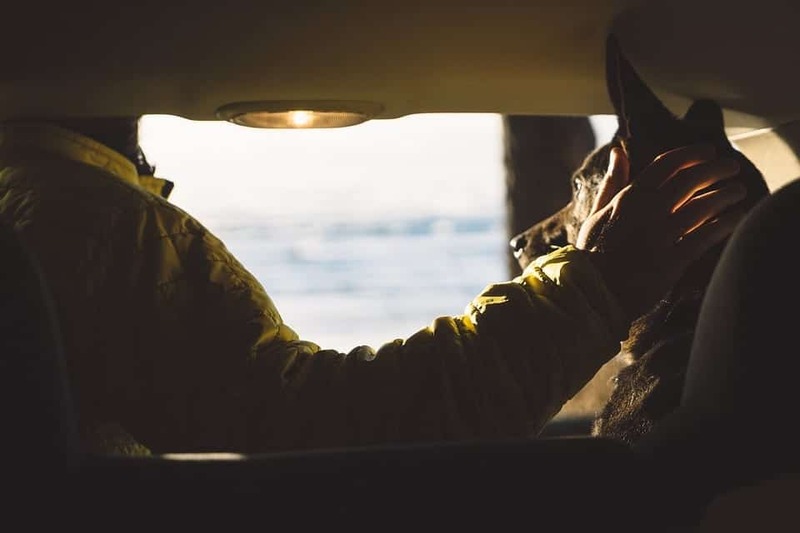 More often than not, traveling with pets can be difficult. Packing up for yourself is already a chore itself and dragging a pet on a road trip or through airport security is a whole other level of difficulty. But then you see people on Instagram going on out-of-town trips with their doggies. 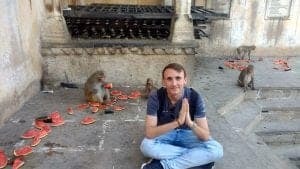 Some even bring their pet with them every time they travel abroad. They make it look so easy! So, you’re probably wondering – how do people manage to travel with pets? 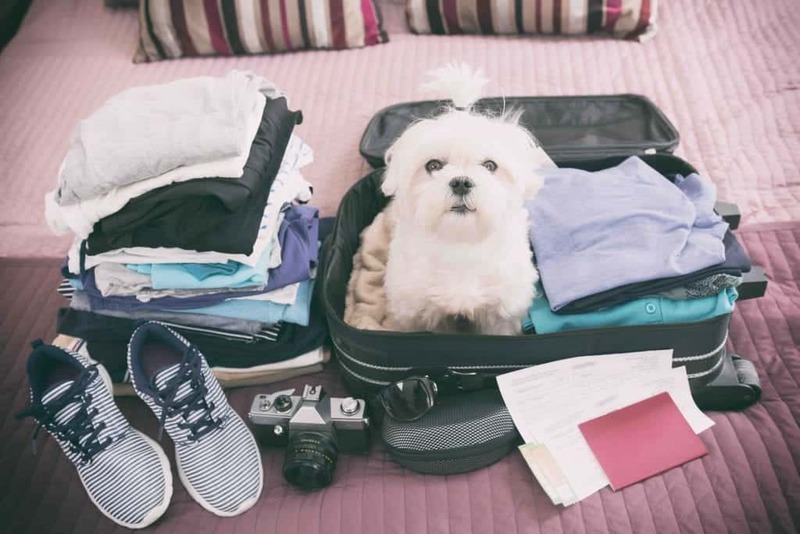 There are five things you need to remember to bring if you’re traveling with a pet. The key to smooth travel is to pack smart and light. Given the very limited space you have, you only need to prepare what’s absolutely necessary. A collar is arguably the most important pet accessory. It should be attached with a tag containing your pet’s name and your contact information. In case your pet wanders off, it will be easier for people to identify him. 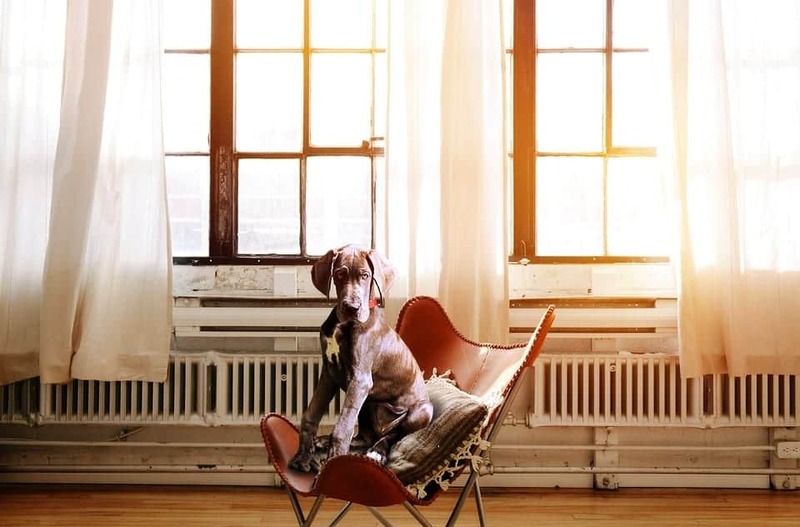 That way, your beloved pooch will be back to you in no time. Needless to say, your animal companion should have his collar on every time you’re going anywhere outside the house. If you’re traveling with a four-legged pet, you should have it on a leash every time it’s outside the car or the kennel. It may be the most well-trained pooch in the whole world, but most public spaces require pets to be restrained. It will make it easier for you to keep your pet under control and avoid any possibility of it getting lost. Keeping your animal companion attached to the leash is also a show of consideration for everyone’s safety and well-being. Your pet must have its own kennel or cage especially if you’re traveling by air. 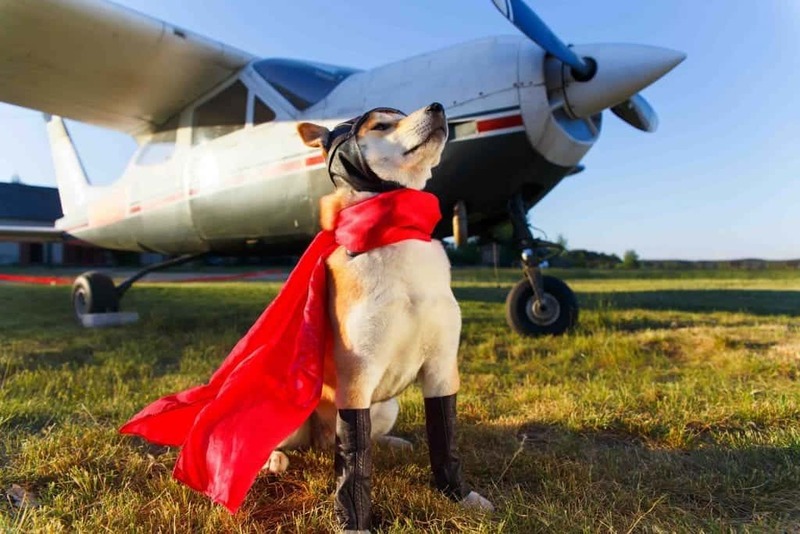 Most airlines do not allow pets to sit on the lap or roam around the cabin. They have this policy to keep the crowded cabin in order. Moreover, kennels can offer enormous help during transitions. No need to tug on the leash every time you’re moving from one place to another. Just place the kennel on the luggage cart and push with ease! As pet owners, it is our responsibility to clean up after our furry travel buddy. We must always have clean doo-doo bags prepared for whenever they need to go potty! You need something to keep your pet occupied. Giving them something to play with is a great way to entertain them throughout the duration of the trip. It can also help alleviate stress and anxiety that some animals may experience if they’re not used to traveling. You can bring chew toys, treat-dispensing balls, and other interactive playthings. Just make sure you take one that is compact and quiet. Squeaky toys should be avoided as much as possible. Travel can be exhausting for both humans and animals. That’s why keeping a stash of snacks as a source of energy is a road trip essential. If you are in for a long-haul drive or flight, remember to give your dog some food in its regular feeding schedule. You should also prepare treats to keep it happy during the trip. 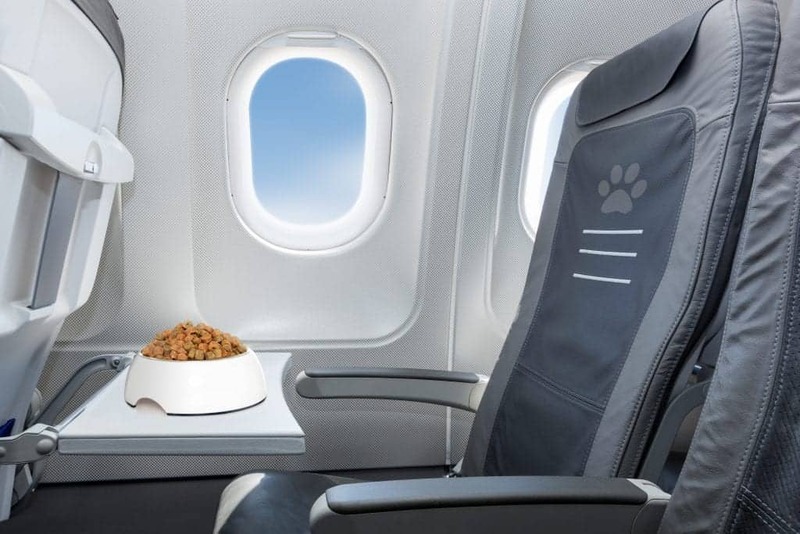 However, it is not advisable to feed your pet too much before the drive or the flight. Give your pet the right amount of food or maybe even less than usual if you’re only going for a short distance. Keep your pet hydrated! It may be hard to give your pet some water in a shaky car or plane but there are clever ways to do it. You can use a collapsible bowl to pour the water in which you can easily keep inside your carry-on bag once you’re done using. You may also choose to give your pup water in the form of ice cubes. Dogs love their crunchy water! Here are some of the things that could help you have an easier time when traveling with animals. 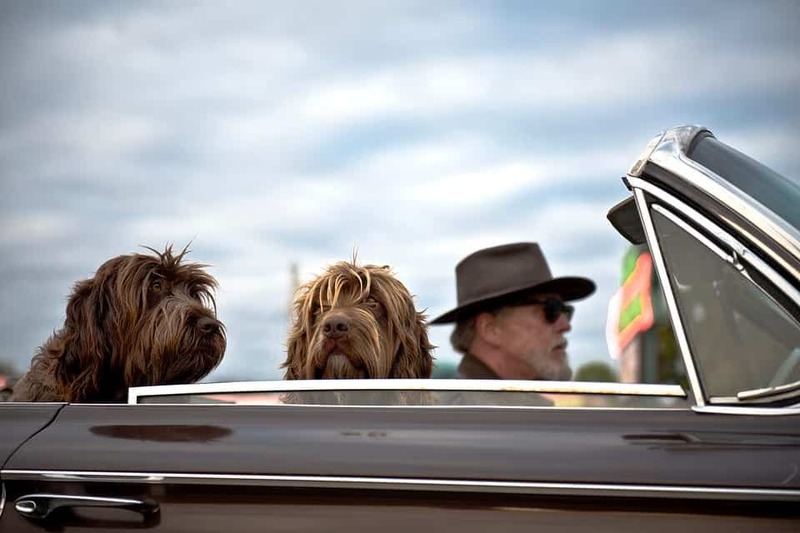 Needless to say, you should learn as much as you can about your pet and the dangers related to pet travel before going. For example, pets with “pushed-in faces”, such as Persian cats, pugs, and bulldogs are vulnerable to oxygen deprivation and flights might even give them a heat stroke. You should also be aware that a lot of pets get injured, lost, or even killed on commercial flights. 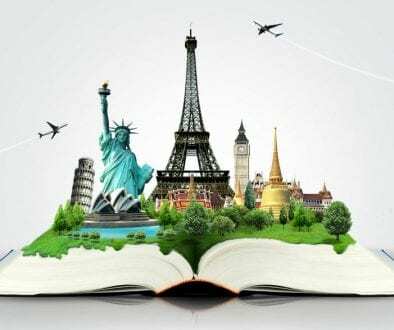 Have this in mind before you decide to travel anywhere. Are pets allowed in the cabin? Does the airline have any immunization or pre-health requirements? Do you need any kind of a special carrier? Are there any restrictions on transporting a pet in the cargo, if cabin travel is not allowed? 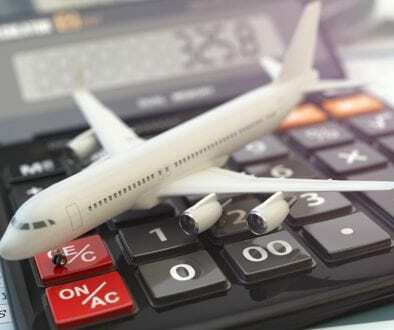 Yes, direct flights can be significantly more expensive than flights with multiple layovers. For some people, however, it’s worth spending a few more bucks for convenience and efficiency. This could save you and your pet from a stressful travel experience too. 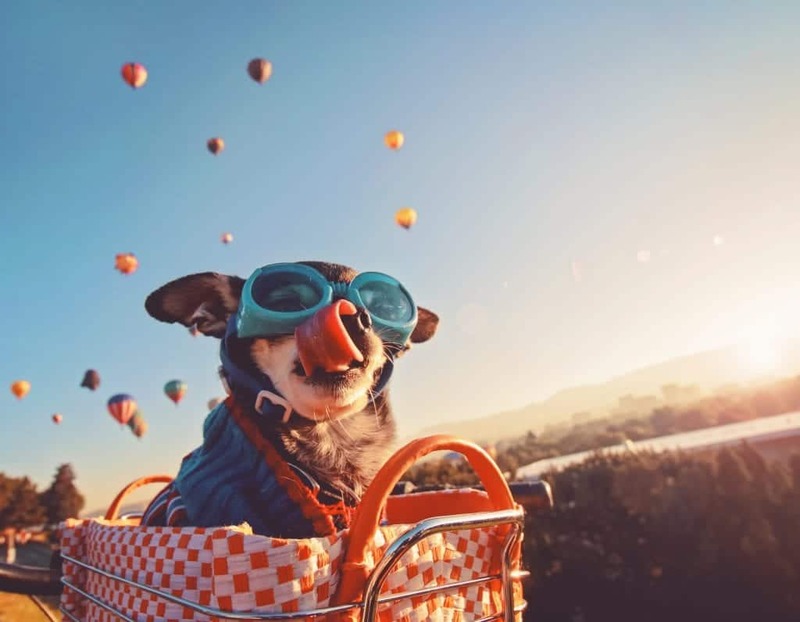 If you’re traveling in the hot summer months, try to book a flight in the early morning to protect your pet from the extremely hot temperatures. Alternatively, if you’re traveling in the cold winter months, try to get a flight during daytime to avoid the extremely cold temperatures in the nights. Airports have a designated area where animals can relieve themselves before going onboard the flight. It is usually a patch of artificial grass where dogs and cats can do their business without judgment. Just make sure to clean up after your pet once it’s done. Familiarize your pet with airplane noises and other airport sounds. 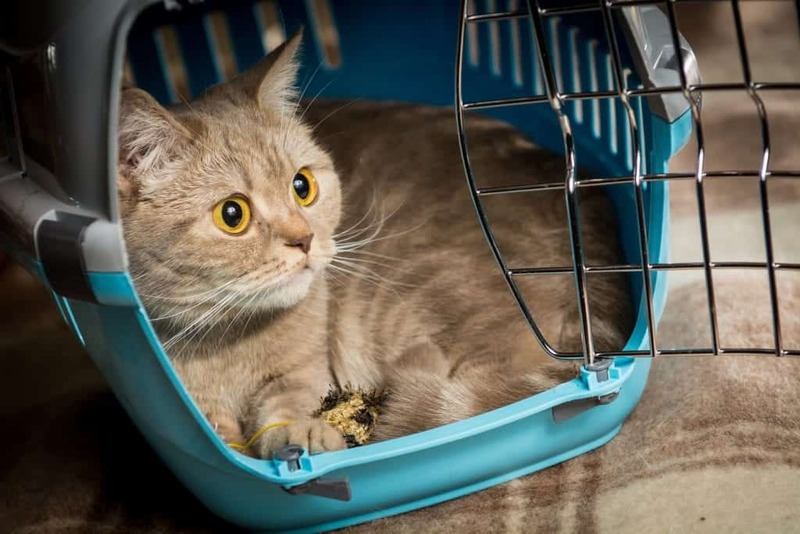 A few days before your flight, let your canine or feline spend some time inside the kennel. Give them a feel of the environment they are going to be in on the day of your travel. 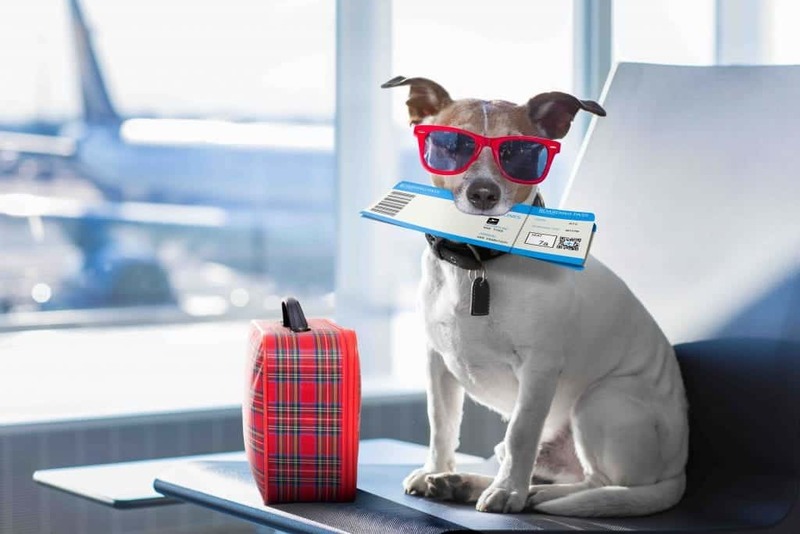 Different airlines have different policies regarding kennel dimensions, permissible dog breeds, and required documents. Check with the airline to make sure you have everything you need. Having all this information can help you avoid problems and delays during check-in. Check your map and plan your stops. Take a break from your long drive every few hours and give your pet plenty of opportunities to rest. He needs to go relieve himself at some point and it better be outside vehicle! 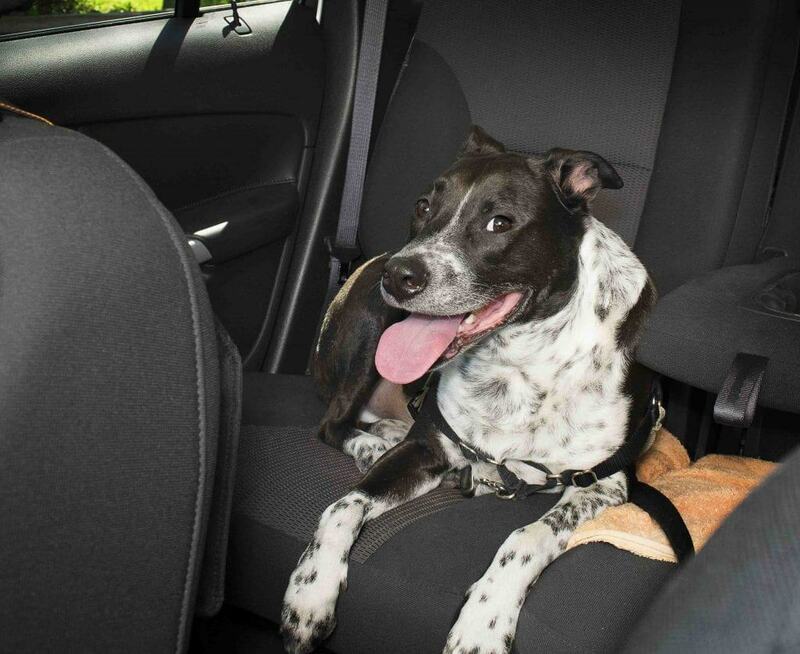 Pets should sit on the back, inside a kennel, strapped with a seatbelt. Also, it is not okay to let your dog ride at the cargo area of a truck type vehicle. Keep him inside where it safe and cool. When traveling, you should never allow your pet to stick their heads through the window, especially on the highway. When driving with high speed, the cold air gets forced into your pet’s lungs and can make them sick. Also, you never know what kind of drivers you’ll come across on the road and it’s always better to be safe than sorry. 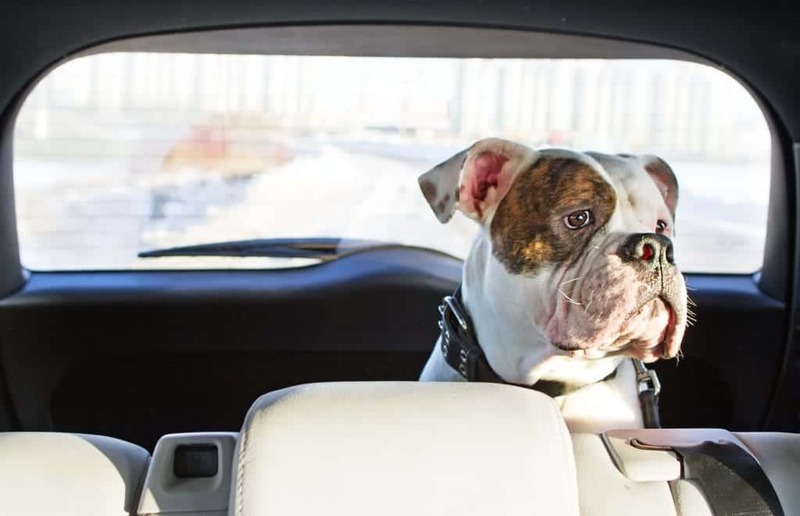 You might think a quick stop on the road isn’t a big deal but you should never live your pet alone in the car. Have in mind that in the summer months your car gets heated very fast and can reach up to 100 degrees in a matter of minutes. And the same applies for the winter. Even if you’re sure you won’t take a lot of time, you should still seriously think twice before living your pet alone in the vehicle. I would probably have to write a new article about train travel with pets because regulations vary between different countries. Every country has different train companies and national carriers and they all have different regulations. For example, in the United States, pets have to ride beneath seats, be at least eight weeks old, and all owners are required to sign a document before carrying their pets in which they agree to be responsible for their pet’s well being. 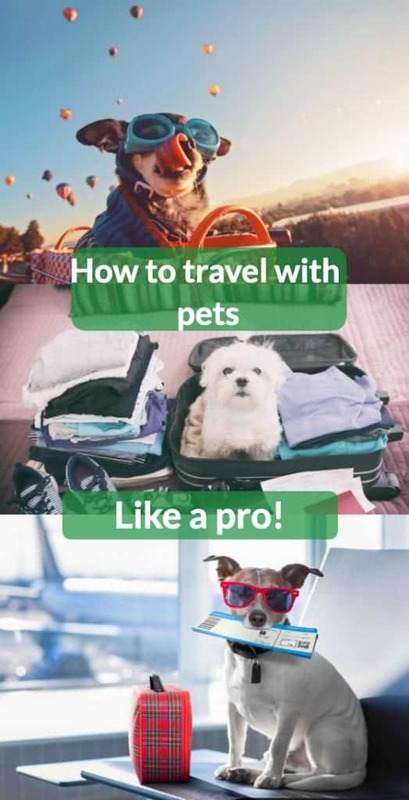 Before planning a journey with your pet, you should always learn about the procedures of the country in which you’re traveling and the carrier you are going to travel with. 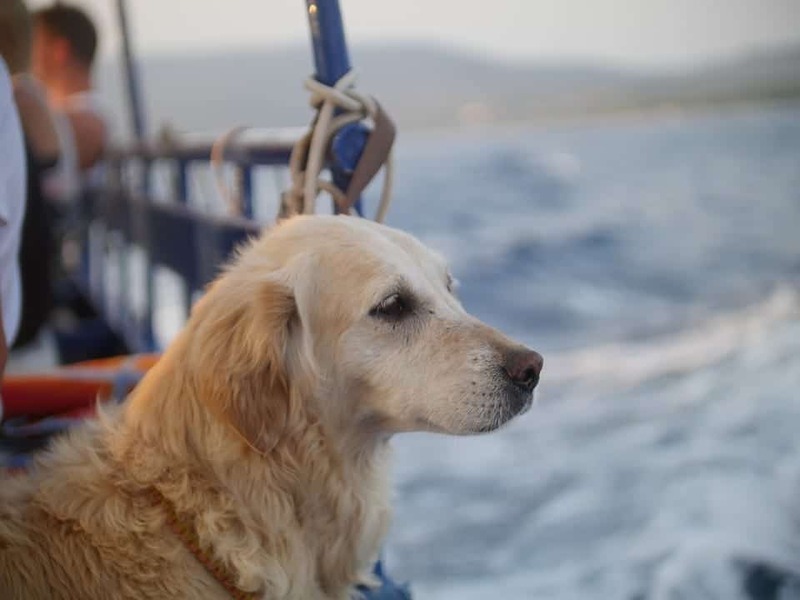 Except for assistance dogs, pets aren’t usually allowed on most tourist boats. 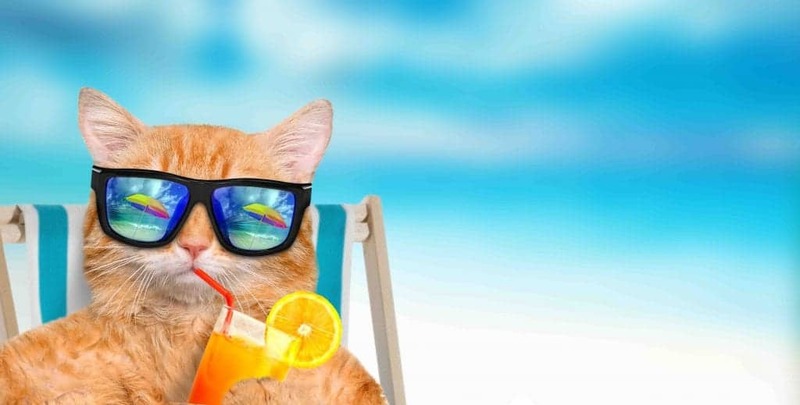 However, there are a few cruise lines that are pet-friendly, but usually only for ocean cruises. Different cruises have different policies and you should contact them in advance to learn more about their policies and whether you must use the ship’s kennel or not. Finally, if you have no other choice but to use the ship’s kennel, make sure it’s protected from all outside conditions and keep an eye on your pet as frequently as you can throughout the journey. Finally, you shouldn’t forget to schedule a checkup with your pet’s veterinarian to make sure everything is fine and whether your pet is fit enough to travel. Also, make sure to take all the medications they might need and that they took all the necessary vaccinations before traveling to a foreign country. The idea of traveling with a pet can be intimidating. 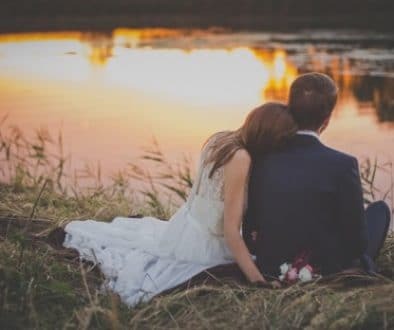 However, if you prepare yourself with all the necessary things and information you need, we are sure you’ll have a great time with your animal companion. Have a safe trip! I’ve never traveled with a pet (and never plan to), but it sounds like traveling with a small child. You need to bring things to keep them occupied, extra snacks, and take them to the bathroom before taking off. I never considered taking earlier flights so the temperature would be less extreme, but that totally makes sense! This is the cutest post! Too bad I don’t have a pet otherwise I’d do all of the above. I do have a child though and I can see a lot of the points are just as prevalent and important. What a wonderful companion they must be. Some of the photos are super cute! OMG your photos were so good. 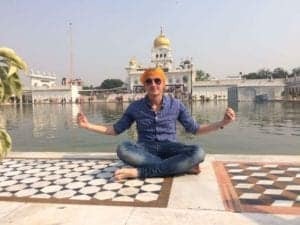 This is an excellent article with great tips. I honestly did not know that pets with ‘pushed in faces’ could have issues. There are a great set of questions to ask the airlines for pet travel. Thanks for sharing. Thank you, Jane, I really appreciate it. Cute photos! 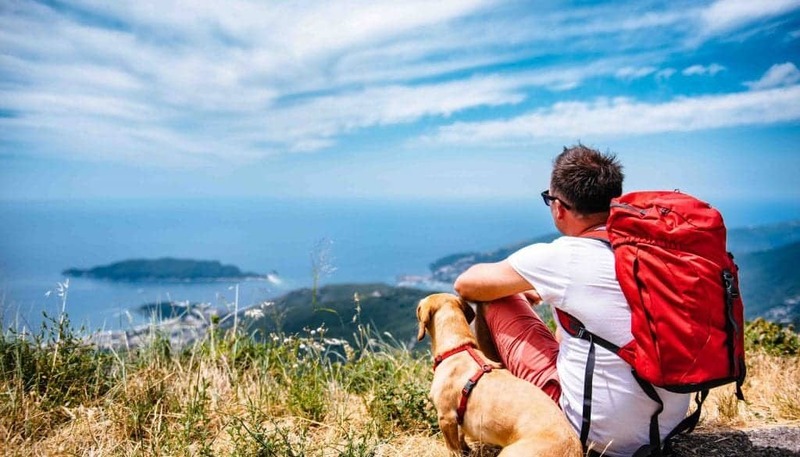 Great tips on making sure you plan ahead for a great trip with your pet. There are so many questions to ask the airline. More and more hotels accept pets too, so no need to hide them. Thank you, Annick- I’m really glad to hear you liked this post. I love pets! I am a pet owner myself and travel with my dog about once a year. It’s not easy, but having her with me is very rewarding. However, for me the only acceptable way to travel with a dog is by car. The airlines are very restrictive when it comes to traveling with pets. Thank you, Anda. I absolutely agree, taking the car is the best option for pets but there are more airlines nowadays that allow pets on the flight. Hopefully, their number increases even more in the future.